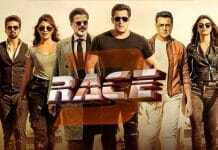 Race 3 is an action drama movie released in 2018 and is considered as one of the most successful Bollywood movies of 2018. This movie was directed by Remo D’Souza and was produced under Tips Films and Salman Khan Films. Race 3 is a multi-star movie where we will see Salman Khan as the lead role and other actors like Anil Kapoor, Jaqueline Fernandez, Bobby Deol, Daisy Shah and more. Below you can find Race 3 vs Zero Box Office Collection, Race 3 vs Zero Review. Zero is a 2018 Indian Hindi-language romantic drama film, written by Himanshu Sharma and directed by Aanand L. Rai. It was jointly produced by Colour Yellow Productions and Red Chillies Entertainment’s Gauri Khan and stars Shah Rukh Khan, Anushka Sharma, and Katrina Kaif. 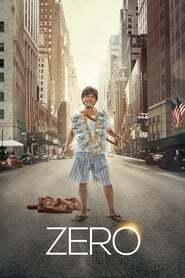 Zero was released on 21 December 2018 in Bollywood. Actually, Saif Ali Khan who played the lead role in the last two parts was replaced by Salman Khan in this film. Shah Rukh Khan was offered a negative Role in this film but he turned down the role. Deepika Padukone was also offered a role in this film but was turned and was replaced by Daisy Shah. Zero is made with a budget of 120 cr. Zero is Khan’s most expensive film. The film was conceived by Rai in 2012 before pre-production began in 2016. Initially having a working title of Katrina Meri Jaan, Zero went through numerous title changes before arriving at the final title in early 2018. 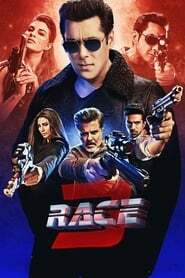 Race 3 is one of the highest grossing Bollywood movies of 2018. Salman Khan’s Race 3 was made with a budget of 163 Cr and has grossed more than 303 Cr in the Box Office Collection. As per Movie-Rater’s HOFS scale, scores 1.8, which is considered as a Hit movie. 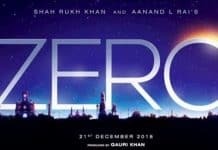 Zero is one of Shahrukh Khan’s movie that did not do that great in the Box Office. 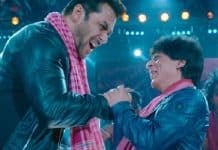 The overall collection for Zero is around 185 Cr, which is considered as a flop for Shahrukh Khans movie. Zero collects more than 185 Cr worldwide. Race 3 is one of the highest grossing movies of 2018 and one of the reason is Salman Khan’s appearance in the movie. This is the 3rd part of the Race franchise and is one of the best action sequels. If you are a huge fan of action movies, then this is a must watch movies. Apart from Action, Race 3 has some great suspense, which is one of the reasons why the movie has received great success. Salman Khan leads the movies and his great action and style are what attracts the movie. 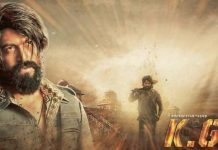 Next articleOru Adaar Love Box Office Collection, Hit or Flop.